It was my first time in Europe, and everyone was speaking in an array of accents. Surrounded by men and women dressed in neat business attire, I stood looking at the idyllic view of Tower Bridge and the River Thames in the background. I had made it to EY London. 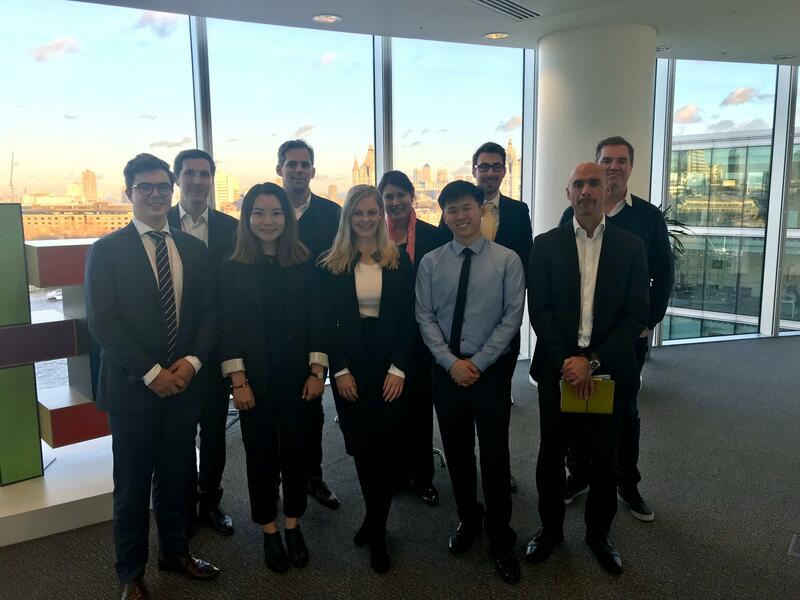 The Global Business Practicum sent 20 students to London, where we were split into teams of four to work on a project with a designated company. I was lucky enough to participate in a project for EY with three bright and talented individuals. Together, we worked on a thought leadership piece about Electric Vehicles. At the end of the two weeks, we became very knowledgeable about this technology which is virtually non-existent in Melbourne. My key learning outcome from the two-week program was successfully developing my global business acumen. I was able to experience the differences between the world of work in London and in Melbourne, and worked with some inspiring individuals. Due to its size and centrality, the work in London was a lot busier, and the size of the projects were bigger. You could feel the rush every morning as people filled the Tube to get to work. The Global Business Practicum creates a unique learning environment that does not exist in the common university subject. It was unique due to the project-based nature of the work, and because there was university academic support over the two-week period in-company. I had the opportunity to build my skills and experiences in a completely new environment, such as presenting my findings to a panel of partners and participating in daily meetings with members of EY. I sharpened my communication skills by learning to be concise and clear when communicating key message and presenting findings. This unique and intensive learning experience will prepare me for life after graduation, and has made me feel confident about entering full-time work next year. For the lucky individuals who get to participate in future Business Practicums, my advice would be to enter the program with a ‘yes first’ mentality, be open to new experiences and willing to step out of your comfort zone. The practicum throws you into a bustling workplace, and allows students to take advantage of new opportunities. My experience and networks built in London will be invaluable to my career, and I am therefore very thankful for this opportunity.